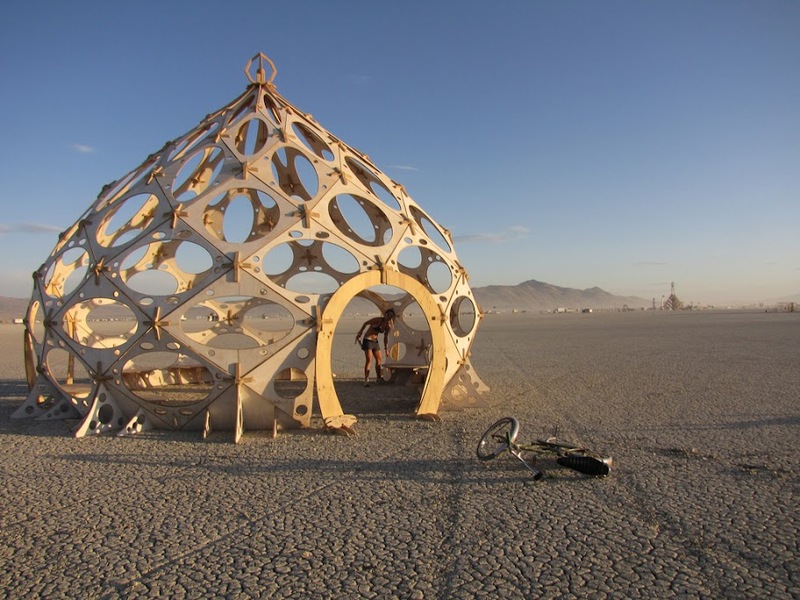 Rob Bell first introduced us to the Zome during BaseCamp 2008 at the appropriately named Cool SketchUp Stuff session. Last spring, we ran into Rob again at Maker Faire Bay Area. 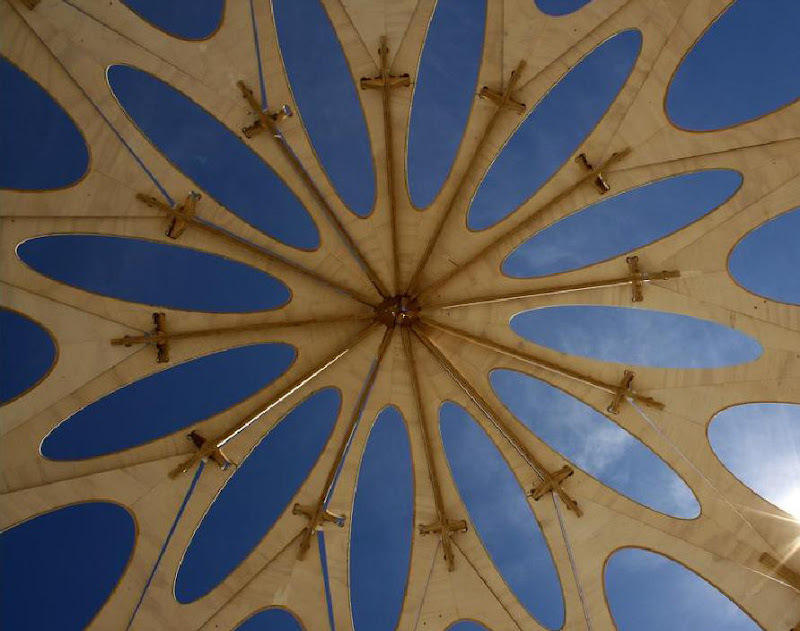 Being fascinated with the evolution of these geometrically hypnotic structures, we thought it would be worthwhile to share Rob’s story and learn more about his new Zome Builder plugin for SketchUp and SketchUp Pro. 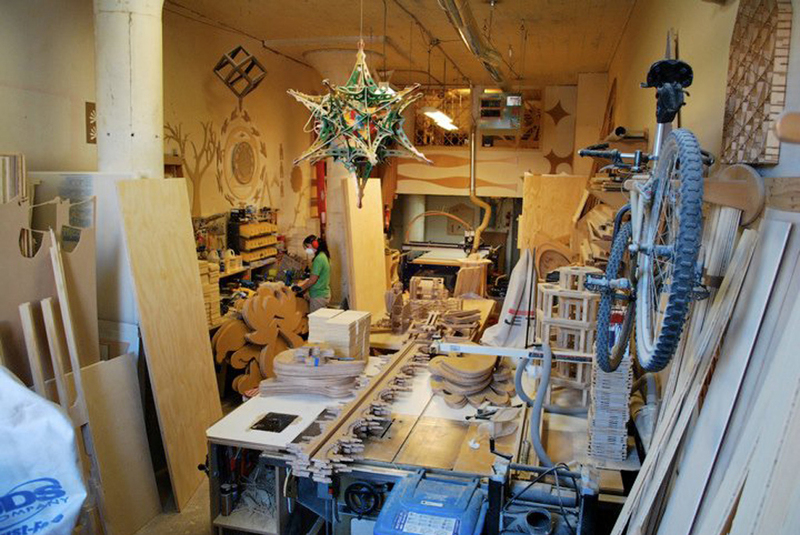 In 2006, Rob used these skills to start Zomadic, a design/fabrication studio in San Francisco’s Mission District. 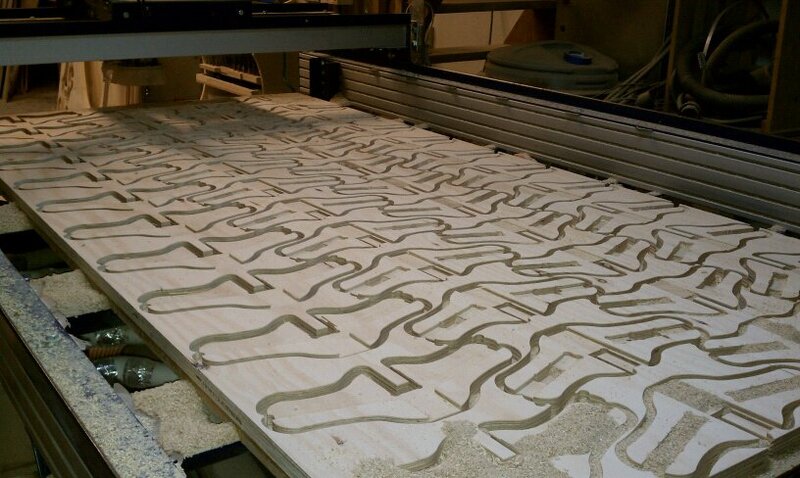 In his studio, Rob uses SketchUp Pro and his Shopbot CNC router for 95% of his projects. 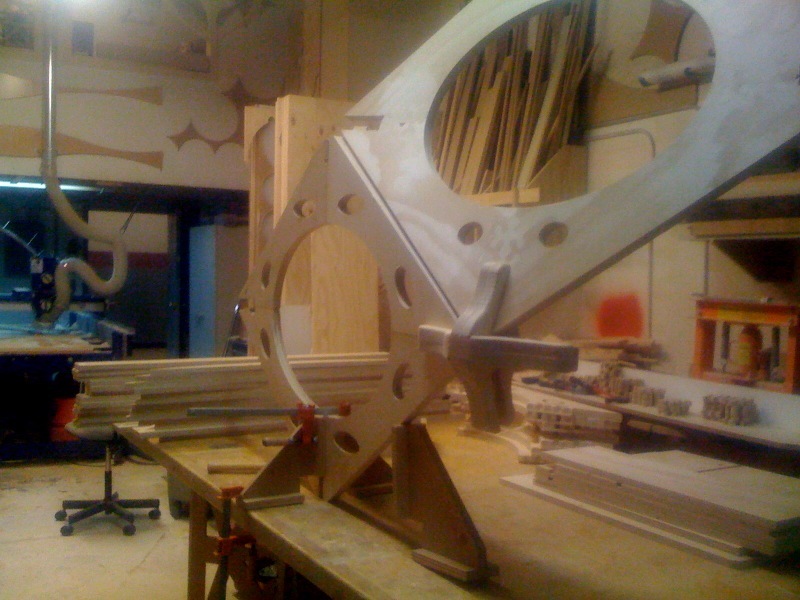 “For me, Sketchup and the Shopbot go hand in hand,” says Rob. Zomes are polar zonohedral domes. Rob’s Zomes are beautiful, organic spaces designed in SketchUp, fabricated with a CNC router and assembled with just mallets and bare hands. Properly, Zomes are composed of rhombic faces rather than triangulated struts and nodes. For Rob, the first step in creating a Zome is designing the structure in SketchUp Pro. 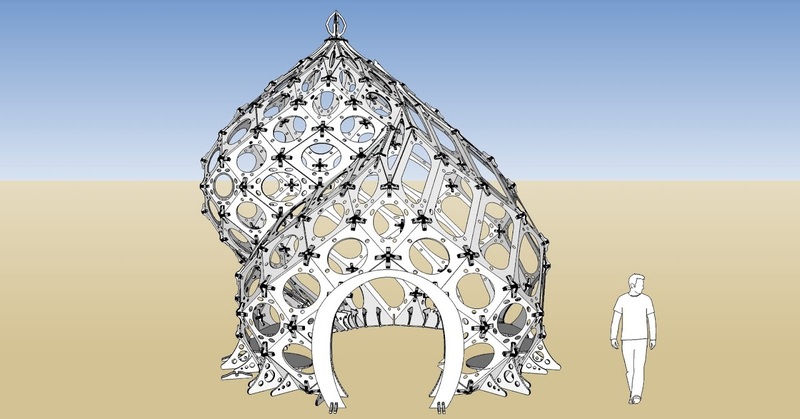 The Miracula Mirabilis: A twelve frequency helical zome spire designed in Sketchup. “SketchUp Pro has been the perfect design tool for me.” Rob continues, “I make strong use of components, layers and component instance transformations. The recent addition of the Solid Modeling Tools to SketchUp Pro has cut down my design time tremendously." 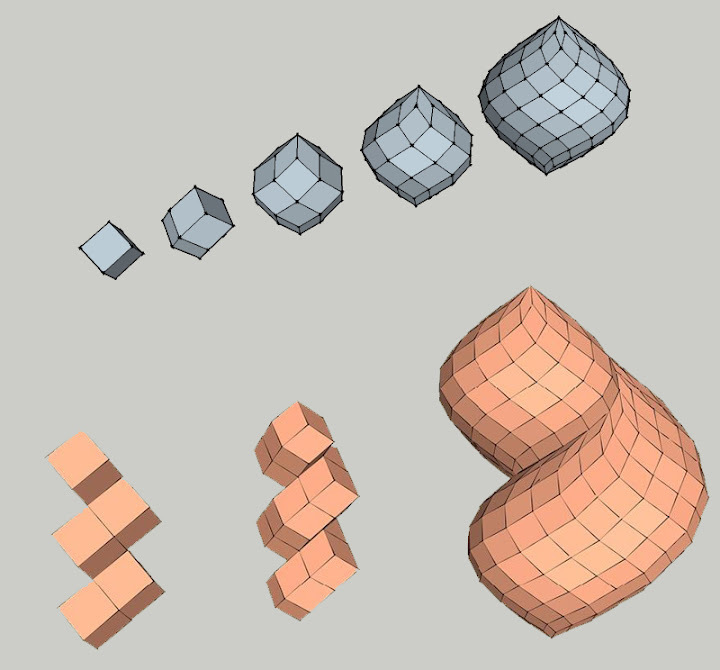 To make the design process easier, Rob also wrote a Ruby Script to generate basic polar zonohedral forms, which he subsequently released freely for anyone who’d also like to create these unique shapes. And now Rob has released a new plugin for Sketchup and SketchUp Pro called Zome Builder. Zome Builder generates not just the primitive geometry of a Zome, but it also generates the part geometry that one needs in order to be able to actually build one. It’s a neat tool, which Rob continues to develop. Once Rob lands on a design, he uses Zome Builder to generate the part geometry for the panels and connectors. The parts are then ready for export to CAD for toolpathing and fabrication using a Shopbot. The final step is assembly. The joinery of Zomes require no glue, nails, or staples. 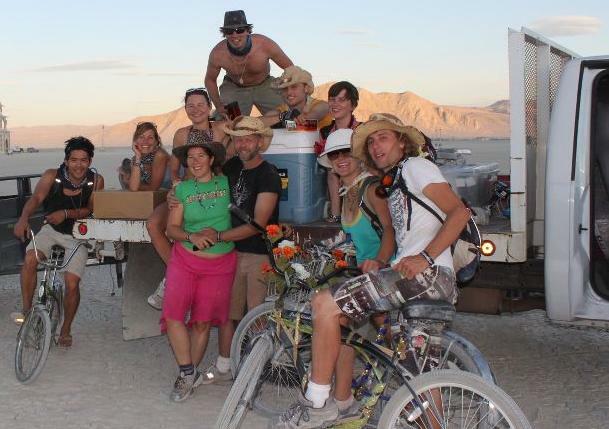 “I wanted to design a system where everyone could participate and have fun during the construction process,” says Rob. 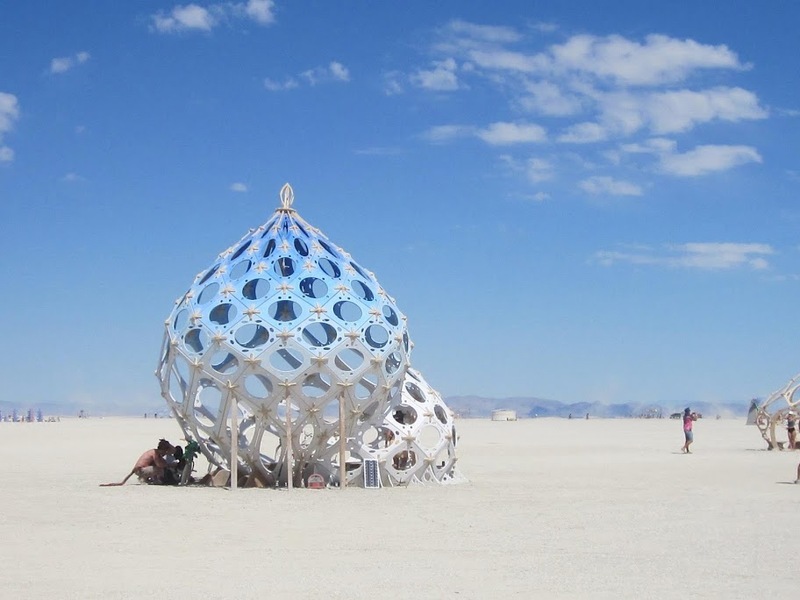 Rob’s Zomes have been featured at Maker Faire, Lightning in a Bottle, Day of the Dead Festival, Prepare for the Playa, Decompression and of course, Burning Man where each year, he shares a new version of his ever-evolving art piece, Zonotopia. We’d like to the thank Rob for sharing his one-of-a-kind SketchUp Story story with us. We hope this post inspires you to try Rob’s Zome Builder plugin to make your own Zome. To find more pictures, models and information about Zomes, visit Rob’s website www.zomadic.com and Zomad’s 3D Warehouse page. These are amazing beautiful shapes. The link to www.zomatic.com is not formatted correctly. @johnbrennan - Thanks for catching that. It's now fixed. hope we can communicate on blogger, and become good friends .welcome to my blog .